So what keeps you awake at night, I ask, grasping for that ancient prop question of journalists, when speaking to Zendesk CEO Mikkel Svane over a terrible transatlantic phone line. “I have a 10-month old child to keep me awake at night,” Svane deadpans. He’s Danish and appears to have kept the country’s native characteristic of plain speaking but several years ago he transplanted to San Francisco where his company is now one of the hottest pre-IPO companies in the tech-obsessed area. 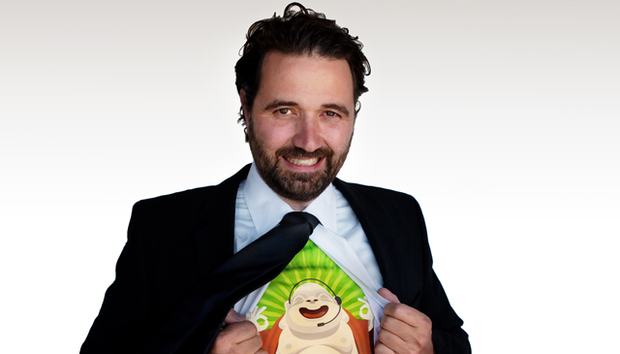 Zendesk is a cloud service-desk company, providing customer care and related analytics. At a time when the “empowered consumer” and “savvy buyer” who can find out all about a product —from web reviews, augmented reality, QR codes, price comparison sites and so on — is such a meme, it’s an ultra-sweet spot to be in. Part of this freshness lies in the user experience and Zendesk has the requisite, fashionably stripped-down, consumer-style, rather Apple-like interface. Svane has spoken in the past about his respect for Intuit, the accounting software company that became predominant among small and medium-sized businesses, noting how most B2B software outfits focus on the enterprise. However, he says Zendesk hasn’t made any particular play for a business size or segment. Quite often, Zendesk might be tried to replace an incumbent like Siebel, Kana or RightNow but often it’s just Excel or something cooked up internally. From there, Svane says, there has been the classic cloud deployment continuum of “land and expand, where you spread like a virus” based on colleagues recommending the service to each other and to others outside the organisation. Today, Zendesk has about 480 staff and operates in about 140 markets but its rise has not been without blips. A price rise in 2010 caused a ruckus, for example and Svane got into an unseemly spat over Twitter with a rival, Freshdesk, calling the company “a freaking rip-off”. But he says the wider picture is one of a revolution in the way software is built, sold and deployed, enabling faster business growth curves and scope for disintermediation and disruption than ever before.